Following the launch of The Indian and Mexican Flavors, Daher Foods continues to introduce new flavors to the Lebanese market. 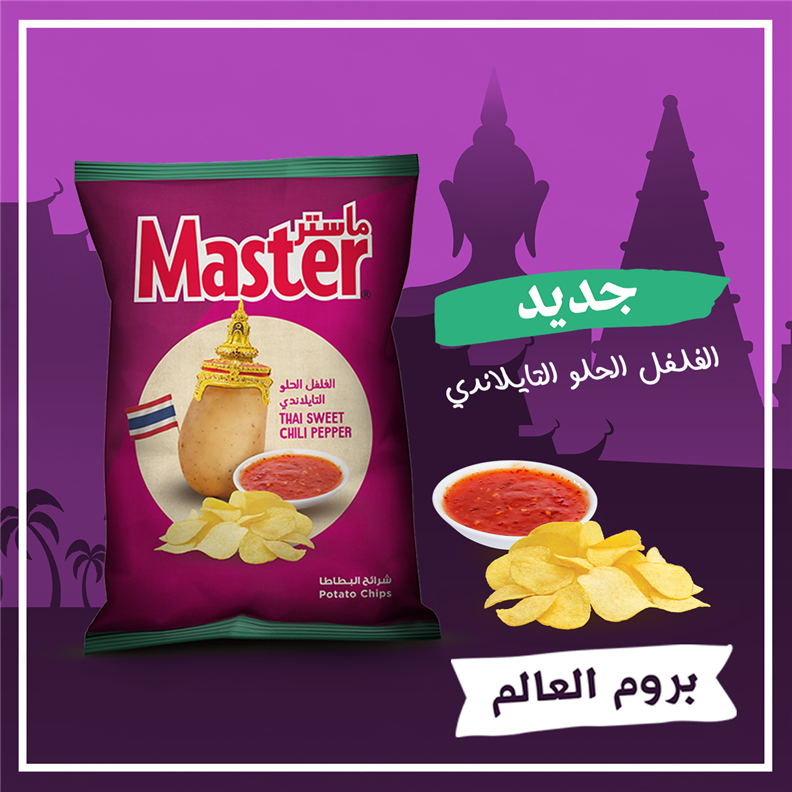 Daher Foods has recently added to its range the Master Thai Sweet Chili as a limited time offer. Daher Foods’ new Pack is made with the finest quality of Potato combined with a Spicy Thai, that is so nicely addictive, makes you want to eat more and more. The packaging of the Thai Sweet Chili flavor features the purple color, the Thai flag, traditional Chada headdress and the Sweet Chili Sauce. The package clearly reflects Thailand’s famous specialties. The launch was supported by a social media campaign, under the “Brom El Aalam” tagline.